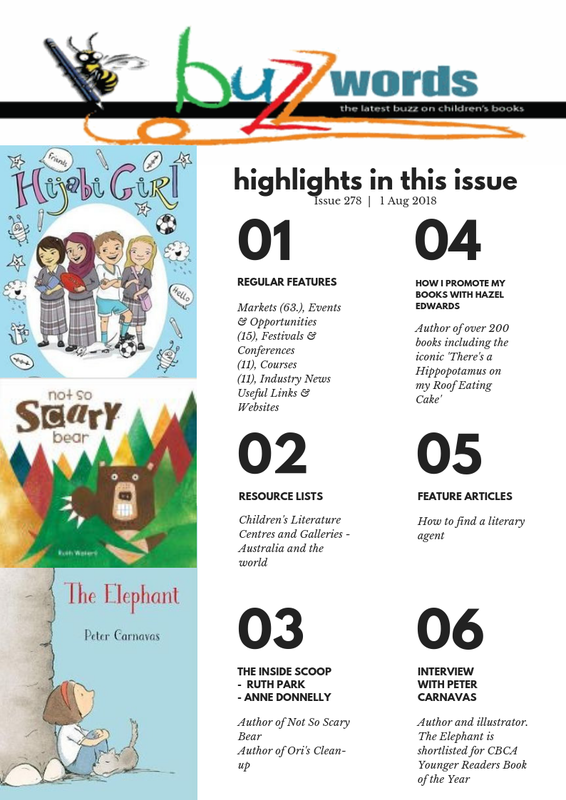 The latest issue of Buzz Words – 1 August 2018 -- is jam-packed and oozing at the seams with children's literature goodness. · The Inside Scoop where authors talk about their journey to publication featuring Ruth Waters and Anne Donnelly who talk about their latest books. · How I Promote My Book with ideas from Hazel Edwards who must be one of Australia’s most productive authors and book promoters. · Our new section titled Resources shows readers Galleries and Centres for Children’s Literature in Australia and overseas. and the usual segments of industry news, articles, useful tips and classifieds. 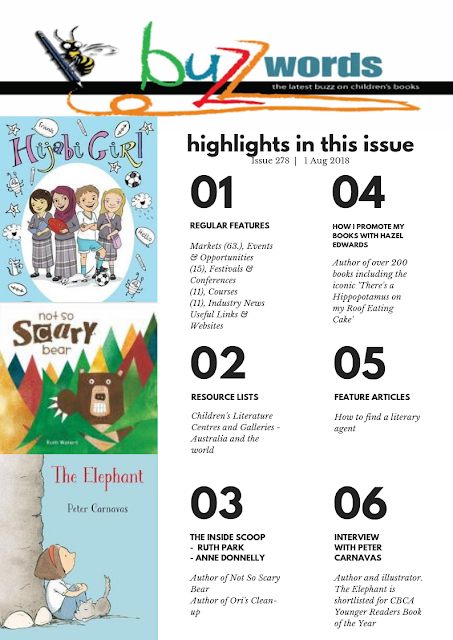 Don’t forget, either, to check out www.buzzwordsmagazine.com where we review children’s books and showcase writing and illustrations by members as well as their many achievements.